Shirley has been with the practice for 14 years. Having began her career in the dental profession at this practice many years ago, starting as a trainee dental nurse /receptionist and working her way up to practice manager. Shirley strives to run an efficient and well balanced practice, aims for perfection giving excellent patient care and a happy working environment. Dr Chandni Thanki qualified with honours from the Barts and the London Dental Hospital in 2010 and won two awards during her time there. She then completed a year of vocational training in Woodford Green. She is a passionate caring dentist who enjoys all aspects of general dentistry and has a keen interest in endodontics. She particularly enjoys caring for nervous patients and children and has a gentle approach. Languages spoken: English, Gujarati, Hindi. Dr Gulnezer qualified from Umea University in Sweden in 1993. He practices general dentistry but lately had developed an interest in Dental Implants. Michael is married and has 3 children, one girl and two boys. His weekends are dedicated to his children and he is often seen cheering his son on at football matches from the sideline. When he has the time he enjoys playing football, snooker and table tennis and also enjoys walking. Jane Barclay RDH. CEB Dip Dental Hygiene (Leeds) 1987. 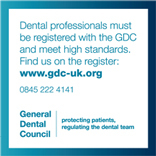 Jane obtained her Diploma in Dental Hygiene from Leeds Dental Hospital in 1987, and has worked in General Dental Practice for many years. She enjoys all aspects of Dental Hygiene Services, periodontal treatments, and has a particular forte in the treatment of nervous patients. Daniele qualified in her degree in Dental Hygiene from the New York City College of Technology in 2009 and has been living in the UK since 2012. Daniele has a gentle and caring nature and has a lot of experience treating patients with dental anxiety helping to put them at ease.